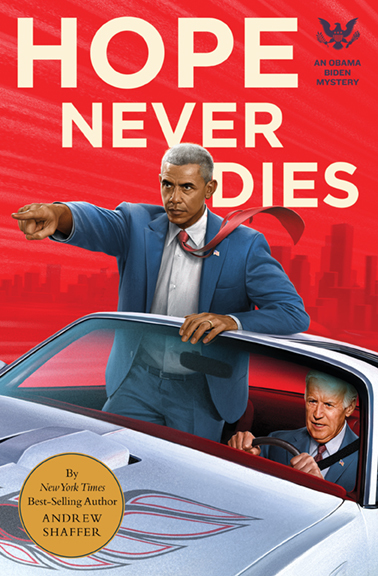 Andrew Shaffer is the New York Times bestselling author of Hope Never Dies: An Obama Biden Mystery, the parody Fifty Shames of Earl Grey, and numerous other humorous works of fiction and nonfiction. He has been nominated by readers for a Goodreads Choice Award for Humor. A television drama based on his novel-in-progress Tapped is currently in development at Freeform, with The Pretty Little Liars’ I. Marlene King and The Vampire Diaries’ Paul Wesley producing. He has also penned several spec film and television screenplays. He has appeared as a guest on NPR, FOX News, and CBS, and has been published in McSweeney’s, Mental Floss, and The Daily Beast. He is the owner and creative director of Order of St. Nick, the quirky greeting card company whose cards have been featured on The Colbert Report. 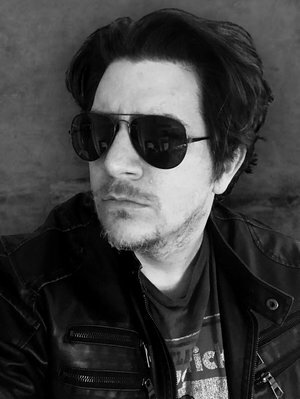 He also is the publisher of 8th Circle Press. Shaffer attended the Iowa Writers’ Workshop and studied comedy writing at Chicago’s famed The Second City. An Iowa native, Shaffer lives in Lexington, Kentucky, with his wife, novelist Tiffany Reisz. He teaches and mentors writers at Lexington’s Carnegie Center for Literacy and Learning. 1. The relationship between Barack Obama and Joe Biden has been the subject of internet memes in the months following the end of their administration. Why do you think that the fondness for Barack Obama and Joe Biden’s “bromance” has persisted after their tenure in office? 2. Do you feel that the voices of the Obama and Biden characters in Shaffer’s novel were authentic and sounded true to life? Why or why not? 3. What moments in Hope Never Dies made you laugh? 4. What tropes does this book borrow from the tradition of hard-boiled detective mysteries? 5. What crime-fighting duos from literature do you think Obama and Biden best emulate? 6. Why do you think the author chose the opioid crisis as the framing for this mystery? 7. The characters of Obama and Biden are portrayed as action-hero versions of themselves, playing up their most admirable qualities. What can candidates for political office learn from this aspirational bromance? 8. Did you feel that reading this book provided an escape from the current political climate in the United States? 9. Do you think that seeing elected officials portrayed as larger-than-life heroes could inspire readers to get involved in politics? 10. What other pairs of either real people or fictional characters would you like to see team up to solve a mystery?